A pretty table cover in pastel shades with sprays of pale pink roses. The kit has a large scale black and white chart printed 10 stitches to one inch showing one quarter of the design. 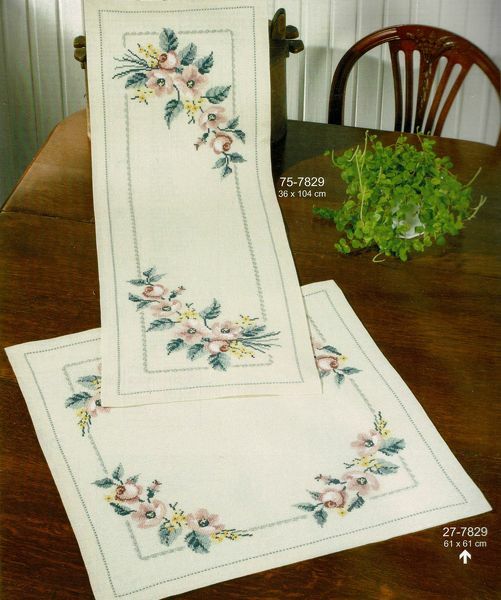 The pattern is worked in whole cross stitch and backstitch using 10 shades of pearl cottons over 110 by 110 stitches. The cover requires hemming after stitching.